Every Clearwater homeowner knows that the key to sparkling swimming waters year round is proper and regular pool maintenance. You may think that you can just skim the leaves from the surface to keep the water clean, but unfortunately this isn’t the case. Weekly maintenance should include testing the water chemical levels to ensure that it is safe for swimming and will not cause any harsh effects. The pH level essentially looks at how acidic your swimming water is. Rain to leaves can affect this reading, which is why it is imperative to check it regularly before diving in. The level should always be between 7.2 and 7.6; the lower the number, the more acidic, and the higher the number, the more alkaline it is. If the number is too high or low, there’s a greater chance that your pool will begin to grow algae. This growth is a health hazard to your pool! We all know that chlorine is essential for pool maintenance, but not many people in Clearwater know why. While chlorine levels that are too high will cause burning eyes and bleached swim suits, if there is not enough, the water becomes a great basking environment for algae. However, putting way too much chlorine can actually make your water toxic. Have you noticed some growth or algea in you pool? Using algaecides will ensure that they will not multiply and take over your swimming space. In addition, brushing the walls will keep algae away by getting rid of any small colonies that may be forming. Getting them off of the wall allows them to be sucked into the filter and eliminated. 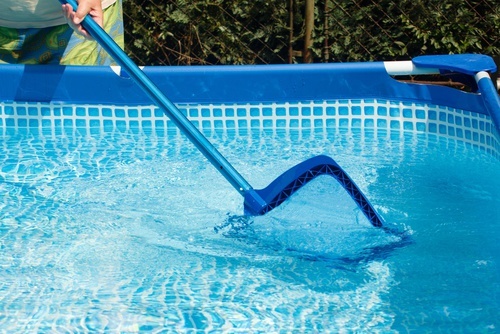 While proper pool maintenance is imperative in knowing your waters are clean and safe, it isn’t quite as simple as it seems. Instead of trying to figure out what chemicals to add to bring the pH down or up to the acceptable range, trust our contractors at Triangle Pool. 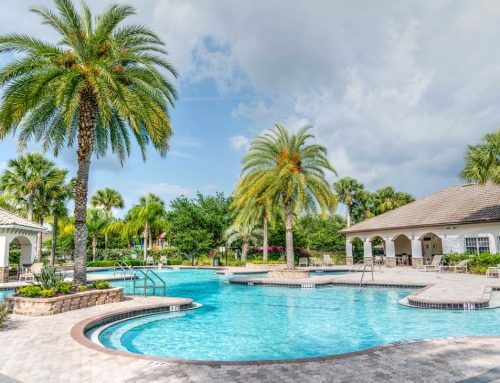 For over 50 years we have been keeping Clearwater pools sparkling, and we will be able to help you! For more information on our services, reach out to us using our contact form or give us a call at 727-531-0473!